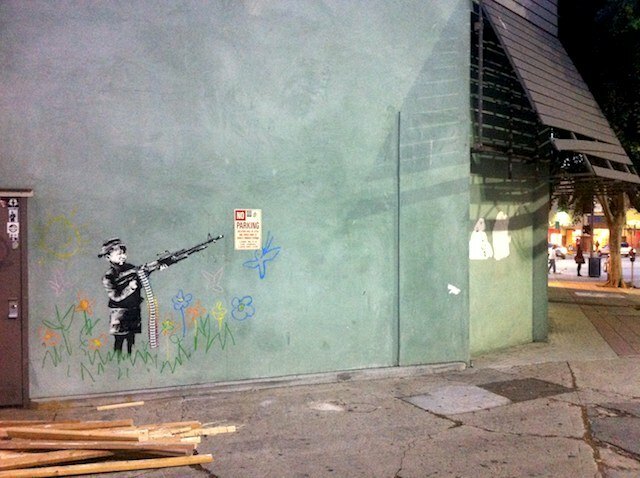 When rumors swirled that Urban Outfitters in Westwood wanted their brand new Banksy painted over, the internet cried foul. Now Urban Outfitters is responding, and explains that it is not the store, but rather the property management of their retail space in Westwood, who wants the "Crayola Shooter" colored over. "We love Banksy and have been long-time supporters of his work. Banksy: Wall and Piece has been one of our top 20 books for the past four and a half years. We are proud to have his "Crayola Shooter" mural on our Westwood store and are doing everything in our power to convince the property manager not to touch this important work of art."